Kapton® is an exceptional polyimide film product that was developed by DuPont™ in the 1960s. Since then, it has proven itself as the top flexible material of choice in applications involving extreme temperature variations. Kapton® film possesses a unique combination of properties, which makes it ideal for a variety of applications in many different industries. The ability of Kapton® to maintain its excellent physical, electrical, and mechanical properties over a wide temperature range has opened new design and application areas to plastic films. To help provide you with a greater overall understanding of this versatile product, we’ve created a Kapton® product guide below. Scroll along in chronological order or click the links and jump to the section(s) most relevant to your current needs. Kapton® is synthesized by polymerizing an aromatic dianhydride and an aromatic diamine. This innovative construction allows the product to boast a number of performance features. The most notable, is its exceptional temperature tolerance range—accommodating temperatures between 452⁰F to 752⁰F (269⁰C to 400⁰C). Kapton® does not melt or burn, as it has the highest UL-94 flammability rating: V-0. The outstanding properties of Kapton® permit it to be used at both high and low temperature extremes where other organic polymeric materials would not be functional. Kapton® possesses benefits beyond its well-known temperature tolerance range. The film also provides excellent chemical resistance—as there are no known organic solvents for the film. High dialectic strength is another impressive quality, with an astonishing 7700V/mil for just 1 mil of film. Also notable is its ability to provide excellent electrical insulation, dimensional stability, and low permeability to LN2. Kapton® polyimide film can be used in a vast variety of applications. It is an effective substrate for flexible printing circuits, capacitor insulation, transformer, bar-code labels, and sensors. Kapton® can also be used for wire and cable tapes, motor slot liners, magnetic wire insulation, magnetic and pressure-sensitive tapes, and tubing. Lamination can also be applied to the film, adding adhesive capabilities to the already versatile material. The distinct combination of physical properties possessed by Kapton® film makes it an ideal fit for numerous applications across many industries. Due to its electrical insulation ability and temperature stability, Kapton® has long served a useful purpose in electronic manufacturing. The film typically acts as an insulation and protection layer on electrostatic sensitive and fragile components. Its protection is available throughout the whole production process of electronic products and is often still present in the final consumer good. Kapton® is a popular material of choice for windows of all kinds at X-ray sources—synchrotron beam-lines, X-ray tubes, and X-ray detectors, to name a few. The material’s advanced mechanical and thermal stability and high transmittance to X-rays make it an ideal material for X-ray technology. As an added bonus, it’s also fairly insensitive to radiation damage. Kapton® and ABS (acrylonitrile butadiene styrene) bond and adhere to each other very effectively. This relationship between materials has led to the widespread use of Kapton® as a build surface for 3D printing machines. The process is simple: Kapton® is laid down on a flat surface and ABS is extruded on to its surface. The result is that the ABS part being printed will not separate from the build structure as it cools and shrinks (amending a common cause of print failure within the industry). Kapton® insulated electrical wiring has long be used in civil and military aircraft. The film’s lightweight construction provides a desired advantage over other insulators relevant to the aircraft industry. Kapton® film also has a history within the spacecraft industry and NASA programs—often serving as a key component to insulation systems designed to protect spacecraft on their re-entry into the Earth’s atmosphere. DuPont ™ Kapton® FN is a general purpose HN film that is coated or laminated on one or both sides with Teflon® FEP fluoropolymer. Kapton® FN imparts heat sealability, provides a moisture barrier, and enhances chemical resistance. Kapton® FN is recommended in applications that require a heat bondable film, or moisture and chemical resistance beyond the capabilities of uncoated Kapton® films. Kapton® FN meets ASTM D-5213 (type 2, item A) requirements. DuPont™ Kapton® FPC polyimide film is treated on both sides and has the same excellent balance of physical, chemical and electrical properties over a wide temperature range offered by general purpose Kapton® HN. Kapton® FPC offers superior dimensional stability and adhesion and is specifically designed for flex circuit manufacturers. Adhesion data for FPC can be referenced in the adhesion to Kapton® technical bulletin. In applications where superior adhesion and low shrinkage are important, Kapton® FPC is the polyimide film of choice. Kapton® FPC meets IPC 4202/1 requirements. DuPont ™ Kapton® HN general-purpose film has been used successfully in applications at temperatures as low as -269°C (-452°F) and as high as 400°C (752°F). 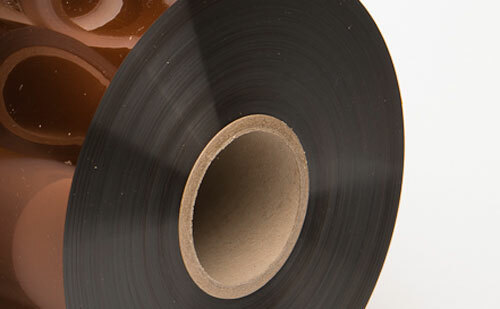 HN film can be laminated, metallized, punched, formed or adhesive coated. Kapton® HN is the recommended choice for applications that require an all-polyimide film with an excellent balance of properties over a wide range of temperatures. Kapton® HN meets ASTM D-5213 (type 1, item A) requirements. DuPont ™ Kapton® MT polyimide film is a homogeneous film possessing 3x the thermal conductivity and cut through strength of standard Kapton® HN. Its thermal conductivity properties make it an ideal choice for use in controlling and managing heat in electronic assemblies such as printed circuit boards. Kapton® MT offers an excellent combination of electrical properties, thermal conductivity, and mechanical toughness for use in electronic and automotive applications. Kapton® MT has higher modulus than HN—offering improved strength to the final product. Common applications for Kapton® MT include insulation pads (heat sink), heater circuits, power supplies, and ceramic board replacements. DuPont ™ Kapton® VN is the same tough polyimide film as general purpose HN film, exhibiting an excellent balance of physical, chemical, and electrical properties over a wide temperature range, with superior dimensional stability at elevated temperatures. Kapton® VN is ideal for high temperature applications that require a low-shrinkage film. Kapton® VN meets ASTM D-5213 (type 1, item A) and IPC 4202/1 requirements. DuPont™ Kapton® XC polyimide films are electrically conductive films, which are precisely loaded with conductive carbons to produce films with tightly controlled surface resistivities. The resistive property is throughout the bulk of the film, so it cannot be cracked, rubbed off, or otherwise easily damaged, as is often the case with surface coatings or metallizations. XC film has proven performance in numerous satellite applications where it provides both thermal and anti-static control. XC film retains all the outstanding inertness, radiation, and temperature resistance of other Kapton® polyimide films, which make them ideal for use in space or other extreme environments. For more details on Kapton® film and to learn about how you can “Create Your Innovative Solutions: Top 4 Properties Kapton® Films Provides,” download our white paper now.